Senator Fraser Anning from Katter’s Australia Party has been widely criticised for his speech in parliament with politicians from The Greens, Labor and the Liberal party describing it as racist and homophobic. Senator Anning called for a “final solution” for the immigration problem in Australia invoking the words of the Nazi regime and the holocaust. The incendiary speech called for a plebiscite which would ask the Australian people to stop immigration of Muslims, and non-English speaking people from “third world countries”. The speech has been seen as a call to return to the White Australia Policy of the last century. Senator Anning also argued against the same schools program and transgender people. “Given that everyone knows there are only two genders, if you can be persuaded to agree to and advocate in support of the false claim that there are ‘an infinite number of genders’, then, without realizing it, you have surrendered your political soul.” Senator Anning said. The politician said the goal of Katter’s Australia Party was to return Australia to the pre-Whitlam government consensus. 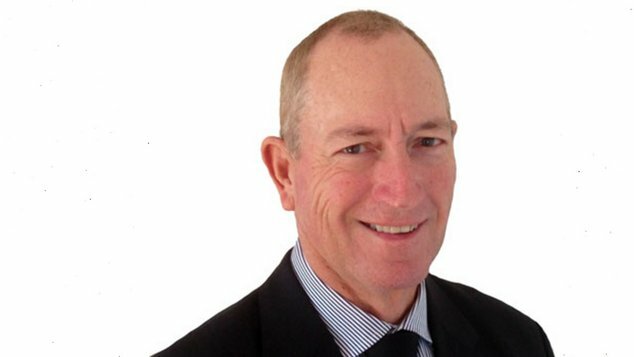 Senator Anning was elected to parliament as a member of Pauline Hanson’s One Nation party, when Senator Malcolm Roberts was fund by the High Court to be a dual citizen. However he quit the party before taking his seat. In June he joined Katter’s Australia Party. This morning Prime Minister Malcolm Turnbull said Senator Anning’s remarks were racist and rejected by all. “We are a nation that does not define its nationality, its identify by reference to race or religion, or cultural background or ethnic background, we define our by commitment to shared political values of freedom, of democracy and the rule of law. And people from every corner of the earth, from every religion or of none, and every race, can connect, be inspired by, be part of those values. That is Australia. So we reject, we condemn racism in any form, and the remarks by Senator Anning are justly condemned and rejected by us all.” Malcolm Turnbull said. In a series of media interviews this morning Senator Anning refused to apologise for his comments and went o nto describe Muslim people as “poisoned jelly beans”. This morning Labor’s Penny Wong moved a motion to voice support for multicultural Australia. A move that saw politicians from across the political spectrum voicing their condemnation of the speech, and showing support for all Australians. “A nation that is divided is never stronger and making others lesser – fanning prejudice and discrimination – has never made a nation safer,” Senator Wong told the parliament. The motion was also supported by the government’s leader in the senate Mathias Cormann and Green’s leader Richard Di Natale. Senator Mathias Cormann said Australia was a great migrant country. One after the other senators took turns to voice their anger and dismay at the comments made by Senator Anning. Sentator Anning wasn’t there to hear them though – he walked out while Senator Wong was speaking. Senator Derryn Hinch described Senator Anning’s speech as one of the most racist things he’d ever heard. “It was one of the most disgraceful, racist, homophobic, divisive, misogynistic, spiteful and hateful speeches I have ever heard anywhere in 50 years in journalism. It was Pauline Hanson on steroids. As I said on the ABC today, I felt like I was trapped in a Ku Klux Klan rally. I want to apologise to the Senate and the Australian people that after the vomitous poison last night.” Senator Hinch said. Senator Hanson said she took offence at the comments linking her to the speech saying she too was appalled by it. Western Australian Senator Pat Dodson said the parliament had to stand up against racism, bias and bigotry and it was pleasing to see the wide condemnation of the remarks.